Daniel Hand celebrates earning its second-consecutive championship in Class L. Peter Hvizdak – Hearst CT Media. It started more than a month ago with the Cross Country Divisional Championships (impacted by weather, of course) and concluded this past Saturday with four football finals. All told, 38 CIAC State Championship trophies were awarded and this edition of Linked Up – Championships edition has a story on all 38. For those unfamiliar (or simply as a reminder for those who are previously familiar) Linked Up Championships will provide a link to the local media story for all of the CIAC Championships over the course of the season.It provides a one-stop shop for anyone looking for great stories on championship-winning teams. From the Hartford Courant: A Bloomfield senior had big dreams and turned them into reality to help his team claim the Class S title. From the TheRudenReport.com: It was a perfect end to a perfect season for Greenwich which blitzed its way to the Class LL championship. From GameTimeCT: History will judge the Daniel Hand team that earned a second-straight Class L title in emphatic fashion. From the Connecticut Post: St. Joseph earned the title in Class M with an offense that was unstoppable once it found its rhythm. 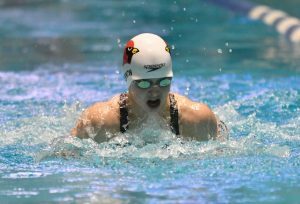 Meghan Lynch broke records and Greenwich captured the Class LL and State Open championships. – Hearst CT.
From the Greenwich Time: As befitting a state championship meet, it came down to the wire as Greenwich earned a State Open victory. From the Meriden Record Journal: Stellar individual performances sent Cheshire to a repeat championship in Class L.
From Shore Publishing: Claiming the program’s first state title required Daniel Hand to come through in the clutch in Class M.
From the Norwalk Hour: Depth continues to be the difference for Weston as the team claimed a sixth-straight Class S title. From the Greenwich Time: Class LL again went to Greenwich behind record-breaking times and impressive depth. From Shore Publishing: Guilford had a mission to bring home hardware, and they did it by earning the Class M title. 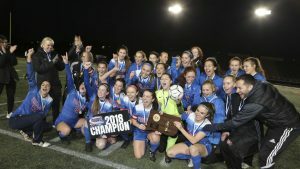 From theDanbury News Times: In Class S a stout defense was the foundation for Immaculate in capturing its first state championship. From the Norwalk Hour: It took some time, but Staples broke through a stingy defense to earn its third-straight Class L championship. Plainville prevailed in Class M for the program’s first state title. Shelby Iava – New Britain Herald. 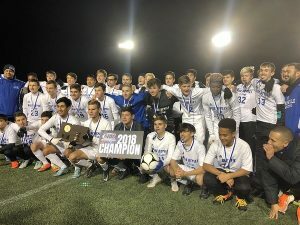 From the New Britain Herald: Plainville boys soccer made history with the program’s first state title by winning Class M.
From GameTimeCT: In a battle of true rivals with high stakes, Old Saybrook came away with a win and the Class S title. From GameTimeCT: The Class L final came down to a player with a nose for goal with Daniel Hand earning a third-straight championship. From the Hartford Courant: Glastonbury defended with everything it had to capture the title in Class LL. From the Waterbury Republican American: Seymour got everything it wanted in earning the Class M crown. From Patch.com: In the Class L final, Joel Barlow persisted and earned the program’s first state title. 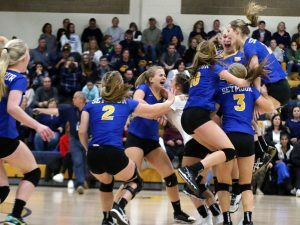 From the Norwich Bulletin: Neither the season or championship match were easy, but they ended with Lyman Memorial winning the Class S championship. From GameTimeCT: Amity went one step further this year and captured the Class LL championship. Tolland came away with the championship in Class L. Michael McAndrew – Hartford Courant. From the Waterbury Republican American: In dramatic fashion Lewis Mills prevailed in overtime in Class M to earn its first title. From The Day of New London: State championship-winning goals bring tears of joy for Old Lyme which captured another Class S championship. From the Hartford Courant: The seniors were the story for Tolland which earned the championship in Class L.
From TheRudenReport.com: Ridgefield has found a formula that works, and it produced a second-straight Class LL title. From the Danbury News Times: By the slimmest of margins Danbury edged a local foe to claim the program’s first Open title. From the Waterbury Republican American: A top performance helped Pomperaug earn the crown in Class MM. From the Danbury News Times: Danbury reaped the reward it has been working for with a title in Class LL. From the Hartford Courant: Miranda Graves opened and closed her E.O. Smith career with a championship in Class L.
From the Danbury News Times: The Immaculate girls have been strong all year, and it came to a head with a Class SS title. From the Waterbury Republican American: Derby ran past a regional rival by a narrow margin to capture Class S.
From the Danbury News Times: The Class M championship went to a balanced squad from New Fairfield. Sam Whittaker and his East Lyme teammates earned a second-straight win in Class MM. Dana Jensen – The Day of New London. From the Hartford Courant: The defending Open champions from Xavier battled through a season of adversity to earn the Open crown again. 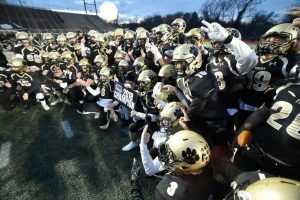 From the Manchester Journal Inquirer: It was a feeling of relief for their coach when Bolton finished off its Class S title. From the Day of New London: A great week got even better for East Lyme’s Sam Whittaker as he placed first and his team repeated its Class MM title. From the Manchester Journal Inquirer: Having an experienced group helped Tolland earn its Class M championship. From the Norwalk Hour: Depth carried the day for Staples to help the team earn a narrow win in Class LL. From the Middletown Press: Xavier wasn’t able to pull down the individual top spot, but it did claim the Class L championship. From the Danbury News Times: Immaculate pulled out a double earning a Class SS title on the boys side to match the one from the girls team. The divisions for all 2018 fall sports have been posted on the CIACsports.com site. To view the tournament divisions for any sport, go to the specific sport information page which are all listed on the main sports page of the site. Schedules for 2018 fall sports have been posted on the CIACsports.com site. To view a schedule for any school or specific team, or a statewide master varsity schedule for a sport, visit the main schedule and results page of the site.